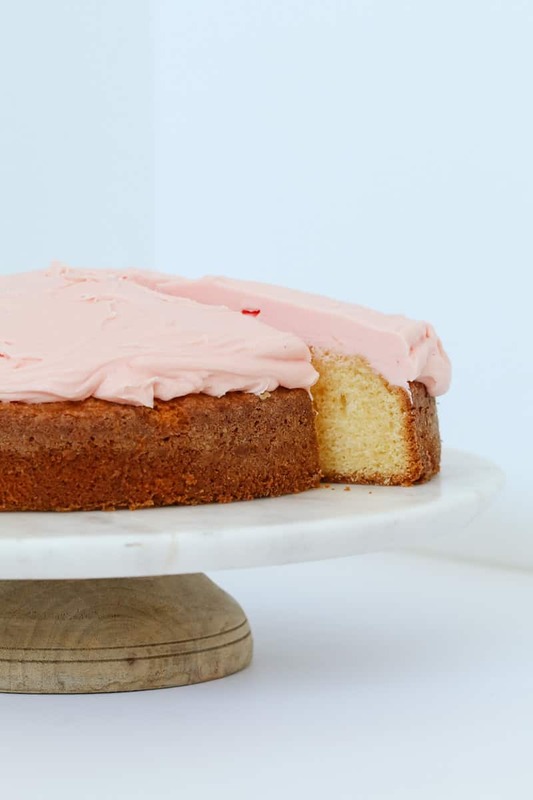 The ultimate classic butter cake recipe with buttercream frosting… the perfect cake for birthdays, school lunch box treats, cake stall fundraisers or delicious morning teas. 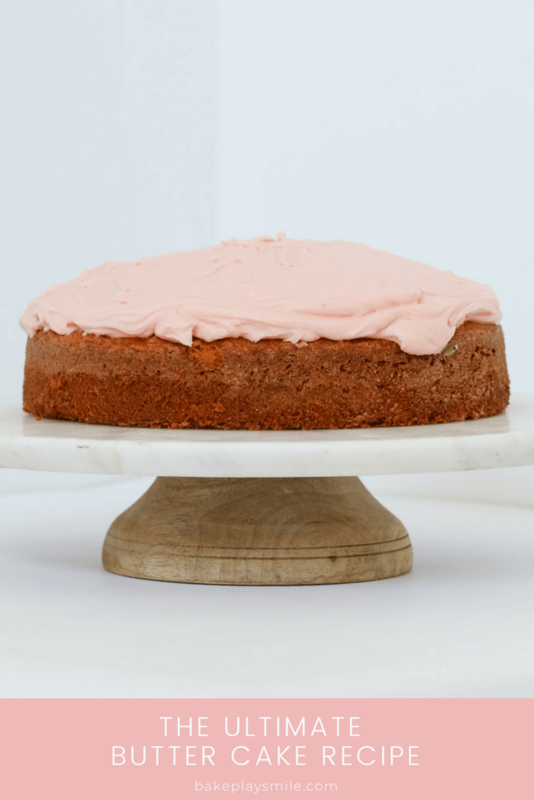 Whenever I need a quick and easy cake…. I always, ALWAYS make my classic butter cake recipe. It’s the EASIEST THING EVER!!! And it also helps that it tastes absolutely delicious. 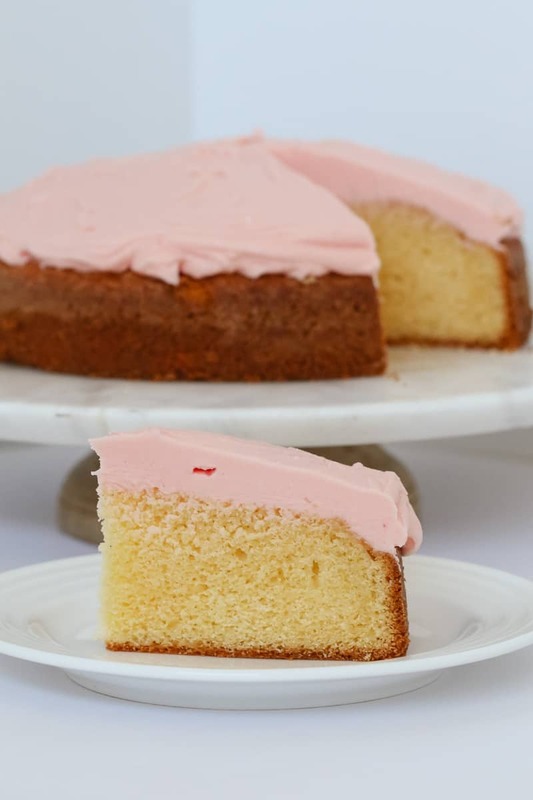 This is the most versatile recipe and it’s perfect for making kids birthday cakes (it can soooo easily be cut into all shapes, designs, cooked in different cake tins etc). 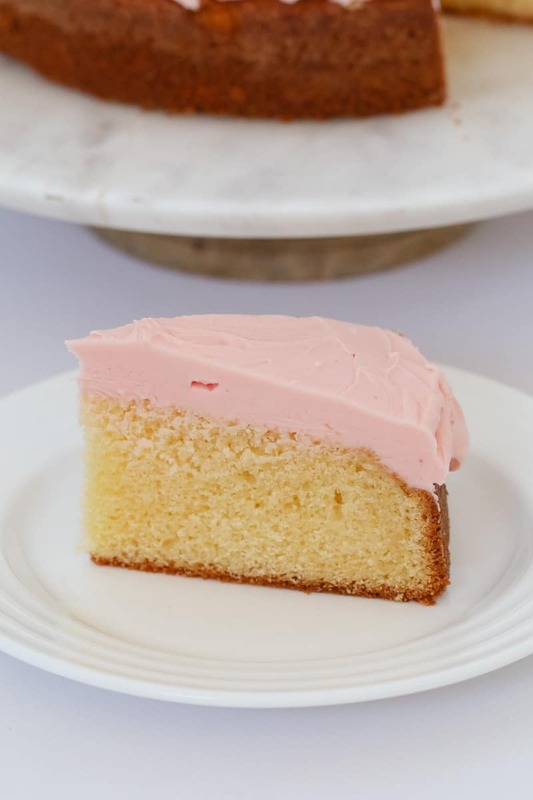 It’s just a good old fashioned butter cake recipe… simple and yummy! 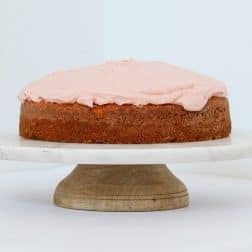 This cake honestly takes juts a few minutes to prepare, uses the most basic (and budget-friendly!) ingredients.. and yet everyone loves it! I have never, ever met anyone who didn’t fall in love with this cake. It’s that good! Oooh and don’t skimp on the frosting. 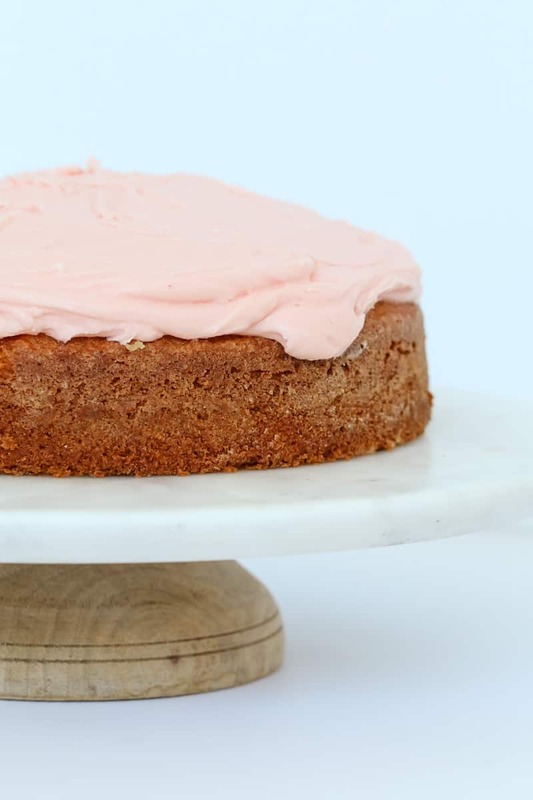 The frosting is what makes this cake soooo crazy good. Slather it all on nice and thick… sit back and enjoy!! 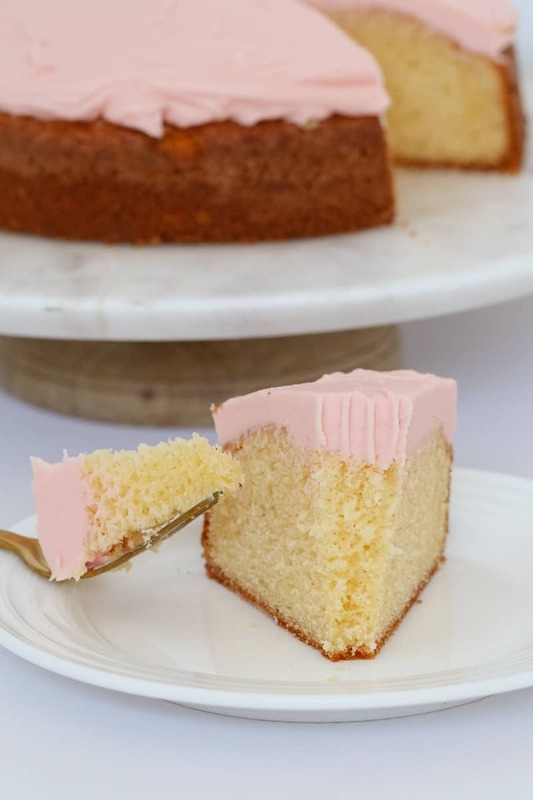 Do you love a basic butter cake too?? 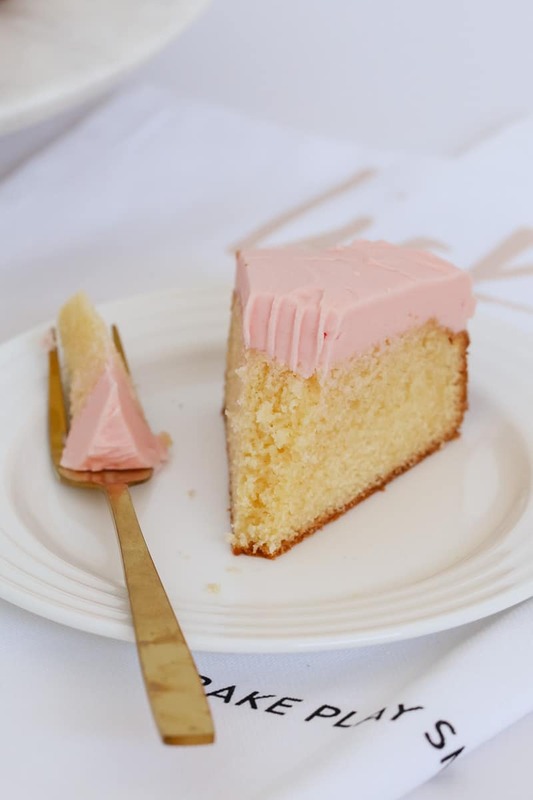 The ultimate classic butter cake recipe with buttercream frosting... the perfect cake for birthdays, school lunch box treats, cake stall fundraisers or delicious morning teas. Grease and line a round 20cm cake tin with baking paper and set aside. Place the butter, caster sugar, salt and vanilla extract into a bowl. Beat together with a stand-mixer or hand-held beaters until pale and fluffy. Slowly add the eggs while continuing to beat through until completely combined. Sift in the self raising flour and stir with a spoon until just combined (don't over-mix). Pour the mixture into the prepared tin and bake for 25-30 minutes or until tested with a skewer (see notes). Leave the cake to cool in the tray for 15 minutes before moving to a wire rack to cool completely. To make the icing, beat the butter in a bowl until pale and fluffy (approximately 5 minutes). Slowly add the icing sugar mixture, milk, vanilla extract and food colouring and continue to beat until smooth and creamy. 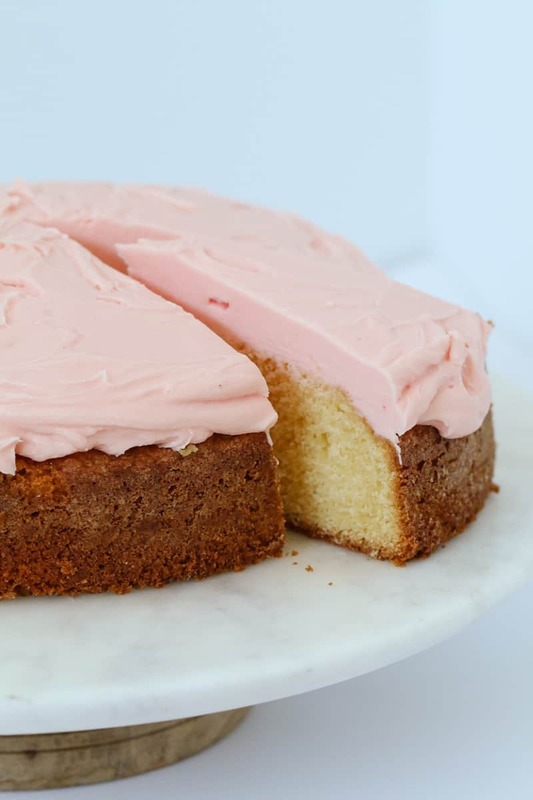 Spread the buttercream frosting over the cooled cake and serve. 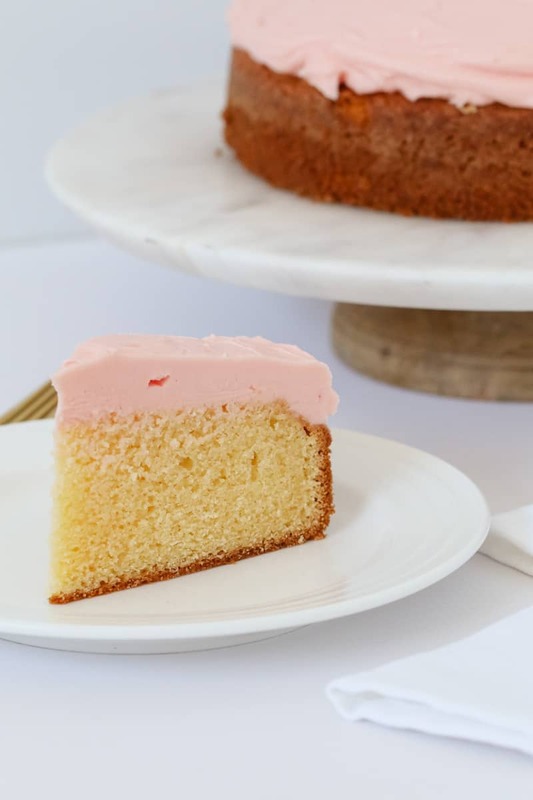 Keep any leftover cake in an airtight container at room temperature for up to 4 days. 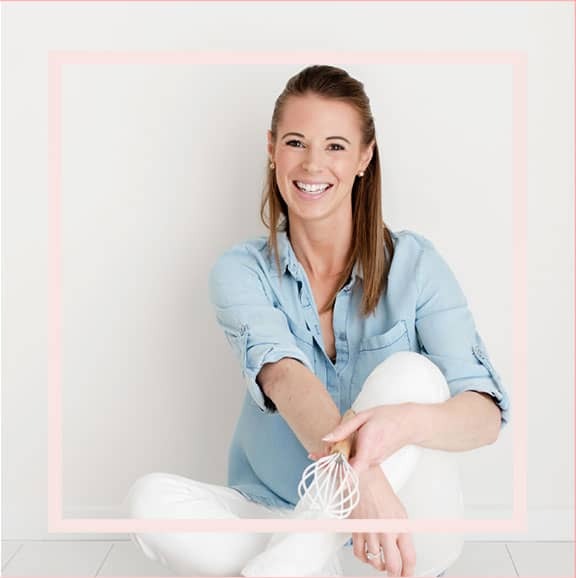 If you find that your cake is browning too much in the oven, simply place a sheet of foil loosely over the top and continue cooking. Add the eggs, salt, vanilla extract and self-raising flour and mix for 15 seconds, Speed 5. Scrape down sides of mixing bowl with spatula, then mix for a further 10 seconds, Speed 5. To make the icing, place the icing sugar into the TM bowl and mix for 10 seconds on Speed 9. Add the butter, milk, vanilla extract and food colouring to the bowl. Mix for 30 seconds on Speed 4. It looks delicious! How can I make a chocolate cake using this recipe? Made this cake for my daughter’s birthday, it was so moist, delicious and easy to make. I doubled the recipe, divided it in three then added food colour so each layer was a different colour. Thanks for a great recipe I will use again and again. 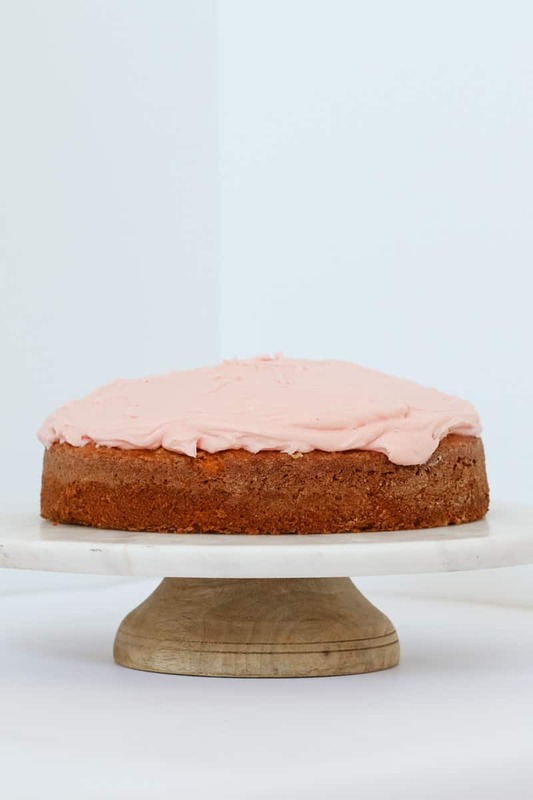 I want to make this cake but I don’t understand the measurements. I’m use to cups and teaspoons. Not sure what caster sugar is? And the oven temperature is different too. I’m use to like 350 or so Fahrenheit help me if you can . Thank you.